We’re getting ready to leave in two days. Been making the final decisions and cleaning up for longer term operations. 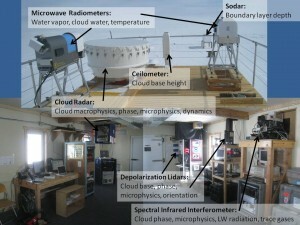 This is a collage view of the inside and outside of the MSF with all instruments installed and labeled. Everything is up and running now except the PAERI, which will be operational in a few weeks when Von comes to Summit. Tonight I gave a presentation on Arctic cloud research and the types of things we plan to do with our observations from Summit. 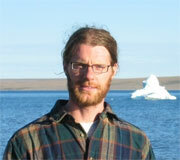 It seemed to be well received by the Summiteers, with lots of great questions about clouds and their various processes.